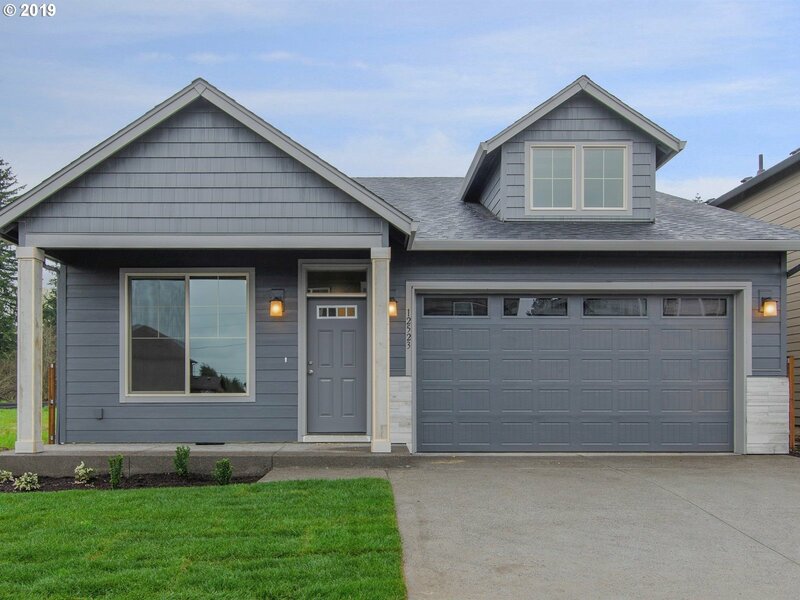 All ORCHARDS VIEW ESTATES homes currently listed for sale in Vancouver as of 04/19/2019 are shown below. You can change the search criteria at any time by pressing the 'Change Search' button below. "HOME UNDER CONSTRUCTION W/COMPLETION 6-15. Model open Wed-Sun from 12pm-5pm. GPS 10909 NE 124th Ave Van, WA 98682 to ORCHARDS VIEW ESTATES. Home includes quartz counters in the kitchen w/stainless appliances. 9ft ceilings on the main. Master bath w/ double sinks, soaking tub & tiled shower. Gas fireplace. Chrome faucets & nickel lighting. Fully landscaped & fenced backyard. Sample pics of another home w/additional options. NO HOA"
"COMPLETED MOVE IN READY HOME. Model open Wed-Sun from 12pm-5pm. GPS 10909 NE 124th Ave Van, WA 98682 to ORCHARDS VIEW ESTATES. Home includes slab granite counters in the kitchen w/stainless appliances. 9ft ceilings on the main. Master bath w/ double sinks, soaking tub & tiled shower. Gas fireplace. Bronze fixtures. Fully landscaped & fenced backyard. PICTURES & VIRTUAL TOUR ARE OF THIS HOME. NO HOA"
"MOVE IN READY HOMES AVAILABLE. Model open Wed-Sun 12pm-5pm. GPS 10909 NE 124th Ave Van, WA 98682. Homes include slab granite counters in the kitchen w/stainless appliances. 9ft ceilings on the main. Master bath w/ double sinks, soaking tub & shower. Gas fireplace. Chrome faucets & nickel lighting. Front yard landscaping & fenced backyards. Sample pics/tour are of another completed home w/additional options. ORCHARDS VIEW ESTATES. NO HOA"
"HOME UNDER CONSTRUCTION W/COMPLETION 4-15. Model open Wed-Sun from 12pm-5pm. GPS 10807 NE 124th Ave Van, WA 98682 to ORCHARDS VIEW ESTATES. Home includes slab granite counters in the kitchen w/stainless appliances. 9ft ceilings on the main. Master bath w/ double sinks & tiled shower. Gas fireplace. Chrome faucets & nickel lighting. Fully landscaped & fenced backyard. Sample pics are of another completed home w/additional options. NO HOA"
"HOME UNDER CONSTRUCTION W/COMPLETION 5-15. Model open Wed-Sun from 12pm-5pm. GPS 10909 NE 124th Ave Van, WA 98682 to ORCHARDS VIEW ESTATES. Home includes slab granite counters in the kitchen w/stainless appliances. 9ft ceilings on the main. Master bath w/ double sinks, soaking tub & tiled shower. Gas fireplace. Chrome faucets & nickel lighting. Fully landscaped & fenced backyard. Sample pics of another home w/additional options. NO HOA"
"HOME UNDER CONSTRUCTION W/COMPLETION 5-1. Model open Wed-Sun from 12pm-5pm. GPS 10807 NE 124th Ave Van, WA 98682 to ORCHARDS VIEW ESTATES. Home includes slab granite counters in the kitchen w/stainless appliances. 9ft ceilings. Master bath w/ double sinks, soaking tub & tiled shower. Gas fireplace. Chrome faucets & nickel lighting. Fully landscaped & fenced backyard. Sample pics are of another completed home w/additional options. NO HOA"
"COMPLETED MOVE IN READY HOME. 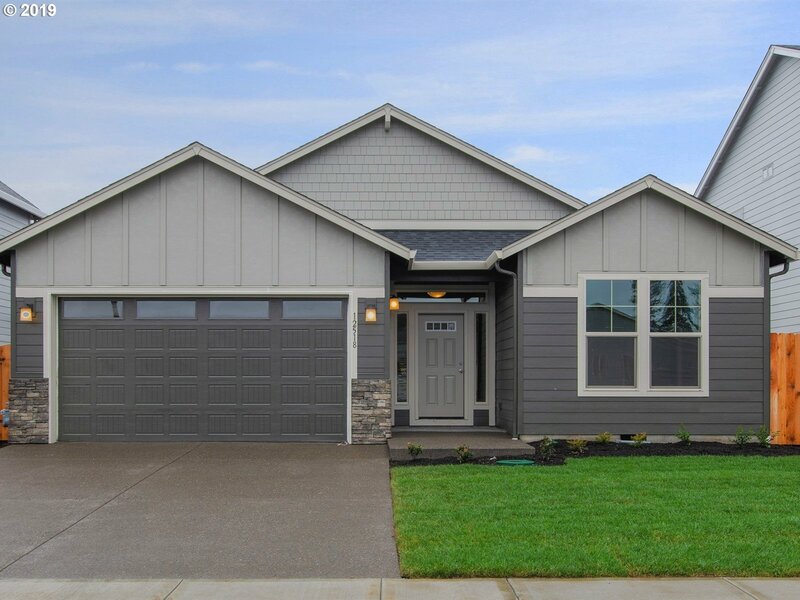 Model home open Wed-Sun from 12pm-5pm. GPS 10909 NE 124th Ave Van, WA 98682 to ORCHARDS VIEW ESTATES. Home includes quartz counters in the kitchen w/stainless appliances. 9ft ceilings. Master bath w/ double sinks, soaking tub & tiled shower. Gas fireplace. Chrome faucets & nickel lighting. Fully landscaped & fenced backyard. Covered back patio. PICTURES & VIRTUAL TOUR ARE OF THIS HOME. NO HOA"
"COMPLETED MOVE IN READY HOME. Model home open Wed-Sun from 12pm-5pm. GPS 10909 NE 124th Ave Van, WA 98682 to ORCHARDS VIEW ESTATES. Home includes quartz counters in the kitchen w/stainless appliances. 9ft ceilings. Master bath w/ double sinks & tiled shower. Gas fireplace. Chrome faucets & nickel lighting. Fully landscaped & fenced backyard. Covered back patio. PICTURES & VIRTUAL TOUR ARE OF THIS HOME. NO HOA"
"MOVE IN READY HOMES AVAILABLE. Model open Wed-Sun 12pm-5pm. GPS 10909 NE 124th Ave Van, WA 98682. Homes include slab granite counters in the kitchen w/stainless appliances. 9ft ceilings on the main. Master bath w/ double sinks & shower. Gas fireplace. Chrome faucets & nickel lighting. Front yard landscaping & fenced backyards. Sample pics/tour are of another completed home w/additional options. ORCHARDS VIEW ESTATES. NO HOA"